Glycemic Index or GI is the ranking of foods on a scale of 0 to 100 based on how slowly or quickly they raise your blood sugar levels after eating. The foods with a ranking of 55 or lower are called low GI foods. The American Diabetes Association (ADA) and other leading global medical research organizations published numerous reports which state that a low GI diet has many benefits. Low GI foods do not cause sudden spikes and crash in your blood sugar levels. Low GI foods make you feel full for long and therefore can improve weight management. Low GI foods improve good cholesterol (HDL) levels and lower bad cholesterol (LDL) levels. Low GI foods improve lipids levels and heart complications in diabetics. Low GI foods help reduce the risk of diabetes and pre-diabetes by keeping blood sugar levels in check. Low GI foods control blood pressure, abdominal obesity and high blood sugar levels. Until now, diabetic-friendly sugar substitutes came with significant health risks and a bitter or chemical-like aftertaste. Not anymore. Diabliss presents the world’s first low GI Sugar for diabetics. Made with herbs known for controlling diabetes, Diabliss products come to you after a decade of rigorous research, clinical trials, and encouraging reviews from customers and institutional buyers. Diabetics, pre-diabetics, and everyone else can enjoy the sweetness of life without adverse consequences on health. Diabliss is continuously studying the benefits of various herbs and spices in their formulations. The following herbs and spices have been investigated and formulations are selected from these ingredients. For 6,000 years, aloe or aloe vera plants, which are native to Africa and certain Indian Ocean islands, have been used in phytotherapy, dermatology and cosmetics in the form of gels and creams. Previous clinical research has identified effective therapeutic properties of aloe vera in the treatment of certain skin conditions (eczema, psoriasis, burns), gastro-intestinal conditions and cell ageing, thanks to its antioxidant properties. New studies highlight the anti-diabetic effects of aloe vera. The plant, which originates from Africa, has been found to reduce blood sugar levels, which can be helpful for patients suffering from type 2 diabetes. Regularly taking aloe vera stimulates the secretion of insulin, which is particularly useful for people suffering from diabetes. Cloves are among the most valuable herbs in this world. Benefits of cloves health are so valuable, not only as spices but also herbs and traditional medicine. Today, even modern medication field have found some health benefits of cloves for diabetes. When talking about the nutritional values of cloves, this spice is packed with certain vitamins and minerals especially vitamin K. For minerals cloves are rich of zinc, copper and magnesium. Furthermore, antioxidants found in cloves are also essential in optimizing the function of pancreas which responsible to insulin production. Cinnamon is a powerful spice that has been used medicinally around the world for thousands of years. It is still used daily in many cultures because of the widespread cinnamon benefits, not to mention its distinctly sweet, warming taste and ease of use in recipes. Interestingly enough, researchers have found that cinnamon ranks No. 1 out of 26 of the most popular herbs and spices in the world in terms of its protective antioxidant levels. It also boasts a wide range of other health benefits, including antibacterial, antifungal and anti-diabetic properties. The Indian gooseberry, known locally as Amla, is a tree that is famous for its nutrient rich fruits. It has been a common ingredient in the ancient Indian medicinal practice of Ayurveda. It’s a potent source of Vitamin C and also contains iron and calcium. Amla being a good source of Vitamin C, which is known for repairing of pancreatic tissues. It also further prevents the damage of insulin producing cells. Amla contains chromium that regulates the carbohydrate metabolism in the body. Consumption of amla may make your body more responsive to Insulin. Black pepper is full of antioxidants. Antioxidants fight free radicals, molecules that have the potential to damage the cells of the body and lead to diseases such as cancer. Studies indicate antioxidants in black pepper could be helpful against a variety of health conditions, but that more research is needed. Black pepper oil naturally inhibits two enzymes that break down starch into glucose. This effect may help regulate blood glucose and delay glucose absorption. Turmeric contains active polyphenol known as curcumin which may provide an ideal intervention for type 2 diabetes, capable of mitigating characteristic pathophysiological hallmarks of the disease such as elevated blood sugar (hyperglycemia) and insulin resistance.The human clinical research conducted on diabetic and pre-diabetic patients revealed that curcumin had the following beneficial effects: Glucose lowering effect, Improved beta cell function, Improved fatty acid oxidation and utilization. Ginger is a natural antioxidant and anti-inflammatory substance that has many potential health benefits for certain conditions, including certain types of cancer,used to help relieve nausea, vomiting, or any upset stomach, and there is also some evidence it may reduce menstrual pain symptoms, morning sickness in pregnant women, and even arthritis pain in joints. Ginger is rich in gingerols - the major active component of ginger rhizome - can increase uptake of glucose into muscle cells without using insulin, and may therefore assist in the management of high blood sugar levels. Fenugreek is an aromatic plant that has many uses, both culinary - fenugreek is a key ingredient of curries and other Indian recipes - and medicinal. Fenugreek seeds (trigonella foenum-graecum) are high in soluble fibre, which helps lower blood sugar by slowing down digestion and absorption of carbohydrates. Fenugreek seeds are a rich source of vitamins, minerals and antioxidants, which help protect the body’s cells from damage caused by unstable molecules known as free radicals. Cumin (Jeera) adds a distinct flavour to food and enhances flavour considerably. But the tiny little spice is capable of doing so much more to your health. Jeera water is known to induce weight loss.Cumin contains lots of plant compounds that are linked with potential health benefits, including terpenes, phenols, flavonoids and alkaloids. Several of these function as antioxidants, which are chemicals that reduce damage to your body from free radicals which prevents the oxidation of fatty acids in arteries that leads to clogged arteries and heart disease. For diabetics, the most important characteristic of cumin is that it increases the insulin production in the body which keeps blood glucose levels under control. Pomegranate fruit contains a large number of antioxidants, including polyphenols. Pomegranates actually contain more antioxidants than green tea and red wine. Health benefits attributed to pomegranates include prevention of heart disease (by reducing plaque build-up on artery walls). Pomegranate antioxidants have been linked to improved heart health, prostate health and joint health. It is these antioxidants, particularly ellagitanin compounds like punicalganis and punicalins which acocunts for half of the fruits antioxidants, are reportedly behind these health benefits. Clinical studies have also shown significant reduction in insulin resistance among upon consuming pomegranate. 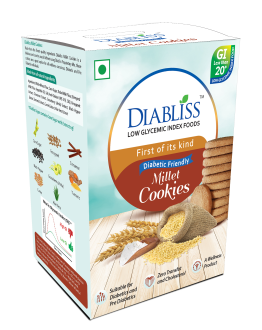 Diabliss has now extended its first innovation of providing safe & healthy low glycemic index cane sugar to major food grains, namely, rice, whole wheat flour and multigrain flour. With the underlying philosophy that healthy grains make healthy foods, these basic ingredients provide excellent base food materials which diabetics can consume day in and day out. They form the foundation for healthy nutrition for diabetics, pre-diabetics and wellness conscious customers. Diabliss has now extended its first innovation of providing a safe & healthy low glycemic index to Tea based flavored premixes. With the underlying philosophy of providing safe and effective food choices with no compromise in taste, Diabliss Beverages provide delicious beverages for diabetics, pre-diabetics and wellness conscious customers. Made with the choicest ingredients, Diabliss Cookies are a perfect snack with taste, texture and nutrition for diabetics, pre-diabetics and wellness conscious consumers. Diabliss cookies have zero cholesterol and zero transfats. "In the Vedas, it is said that, "From Earth sprang herbs, from herbs food, from food seed, from seed man." Diabliss lives up to the above Vedic principle and is definitely a boon to diabetic people to enjoy different culinary experiences without compromising on health. I really feel blessed to be a regular user of this authentic product." "Really a bliss for the weight conscious people who also have a sweet tooth. I am both. This sugar being treated with extracts from ingredients like fenugreek, black pepper, dried ginger, pomegranate, cinnamon, gooseberry etc, and not with any chemicals, is a matter of great assurance for a chemical-averse person like me. It's a TRIPLE Bliss for me!!" "I would recommend Diabliss to not only diabetics but musicians also "
"At 5, our son Harsha was diagnosed with Type 1 diabetes even though we don’t have a family history. Being young, it was hard for him to follow a strict diet with no sweets. We felt helpless as parents because he couldn’t eat food that other kids enjoyed. We came across Diabliss and realized that we could make his favourite desserts at home without affecting his health. 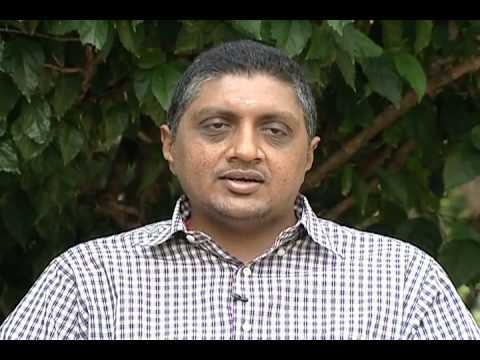 Diabliss sugar has been the silver lining in our cloud." "Diabliss has changed my life for the better! A sense of wellness has increased since I switched to the low GI sugar. As a person, I love eating sweets. I cannot just drop them. Diabliss is a great replacement for sugar. As it’s not possible for me to cut out rice and sweet from my diet, Diabliss comes to my rescue with its low GI properties." "My friend introduced me to Diabliss as I suffer from Type 2 diabetes. Diabliss is a blessing for diabetics. For the past 2 years, I’ve used Diabliss in my tea, coffee and sweets.There is no overshooting in blood glucose levels. With Diabliss, my blood sugar level was 5.9 the last time I checked it. Now I recommend it to all my friends, just like I was in the past." "Diabliss has changed my life for the better!I am a borderline diabetic with a family history of the disease. I was searching for a product or medicine that would keep my blood sugar in check while not giving me any side effects. I was recommended Diabliss. My whole family and I started using it. It’s miraculous that our blood sugar is in check. Diabetics will get a new lease of life with Diabliss. It has surely given one to my family and me!" 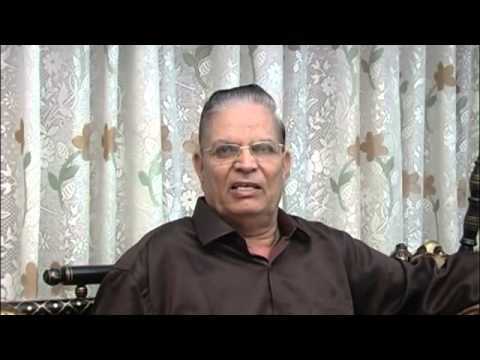 "My father is a diabetic. We make sure that he has regular check-ups and eats the right food. Our doctor advised usto try out Diabliss, a diabetic-friendly sugar. I was hesitant because I had thought it was a sugar substitute. Diabliss turned out to be a low GI sugar. We were very happy as it tastes like regular sugar, has no side effects and keeps blood sugar in control." " I just can’t help myself and eat sweets with every meal. I’m not a diabetic but I know that eating so much sugar is not good. I found Diabliss online and was curious about its low GI sugar quality. All the sweets I made at home tasted exactly like the ones made with regular sugar. I also found out that it is healthier than regular sugar. " "We regularly get requests at our bakery for healthy, low sugar items. To cater to this segment, we started using Diabliss. 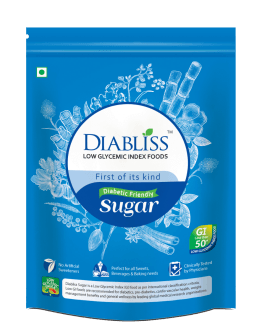 It tastes just like sugar, so the flavour is the same.We checked Diabliss’ low GI claims with a test and were happy with the results.Our diabetic-friendly items are very popular, and we plan to add more." 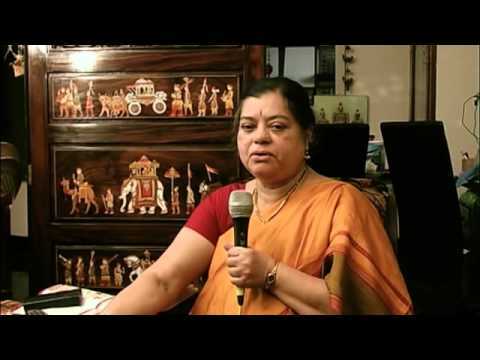 Herbal Lemon Tea, Ginger Tea and Masala Chai – Diabliss Presents Diabetic Friendly Teas! Tea is very popular in India – in fact many Indians start their day with a hot cup of tea. It’s an essential part of breakfast, teamed up with a variety of breakfast foods. Chai – the local word for tea – is enjoyed in the morning, afternoon and evening. Our tea-loving nation has been hooked on to the beverage for countless decades. 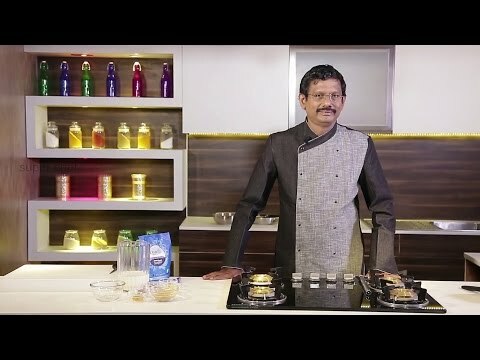 Diabetic Biscuits like Diabliss Millet Cookies Make Snacks for Diabetics Tasty and Healthy Most commercially available biscuits don’t make it to the healthy list of foods for diabetics simply because they’re made from refined grains and have added sugar. Such biscuits are tasty, but at what cost! High glycemic index foods and sugar should be avoided by all – especially diabetics and prediabetics. It’s difficult to find a biscuit that is genuinely a low glycemic index food. Diabliss diabetic-friendly products help diabetics, prediabetics and everyone restores their lifestyle with unlimited choices. Copyrights © 2019 by Diabliss Consumer Products Pvt Ltd , all right reserved.